A mechanic at Blackfoot Motosports has earned a flight to Japan and a shot at winning Yamaha’s World Technician Grand Prix this fall. 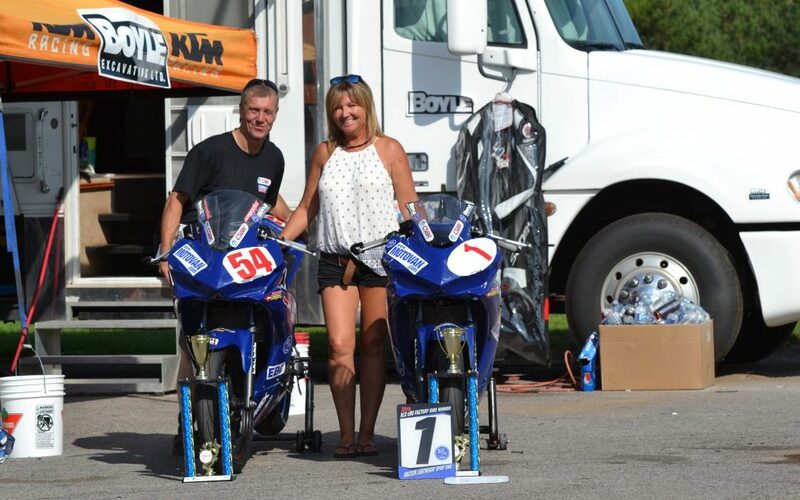 Persistence paid off on July 24 for Brett Hart, a master mechanic at the Calgary dealership, with top marks in the Yamaha Canada Technician Grand Prix on July 24. 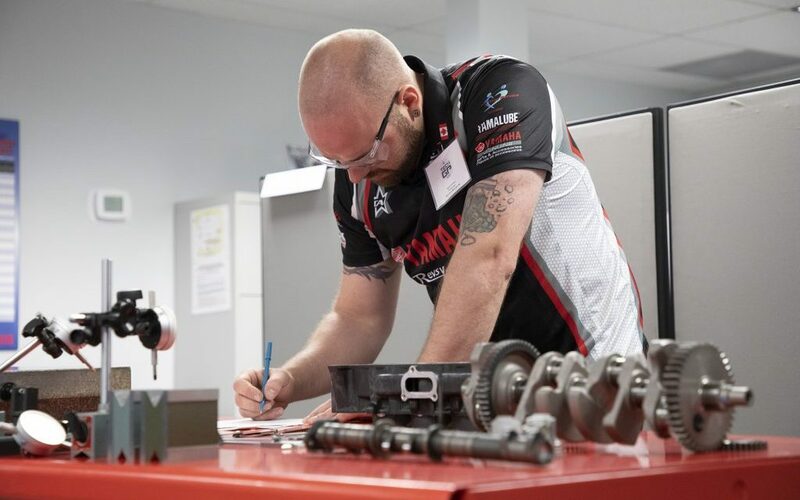 It was his fourth time in the wrenching competition, which is held every two years at Yamaha Canada’s head office in Toronto and pits eight Yamaha mechanics from around the country against each other in a double handful of timed workplace challenges. Hart was one of those eight competing techs at the last three Canadian events in 2012, 2014, and 2016. If for nothing else, he clearly deserved marks for making the gate at every event, but according to Jeff Waite, Yamaha Canada’s national service manager, Hart’s win was solid. “Brett was a clear winner,” Waite said shortly after the Canadian competition. 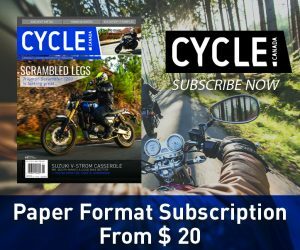 Hart told Cycle Canada that he is “excited and scared” about going to Japan and going up against about 20 winning techs from competitions around the world. He’s already well-prepared, of course, having competed here four times and won most recently, but the final competition in Japan will certainly be a tougher challenge. It’s not unknown for a Canadian tech to do well there, however. The 2016 Canadian rep in the Japan finals, Luke Pakkala, who at the time was a mechanic at Oakville Yamaha in Ontario and now works in Edmonton, finished second in the Sport Model class in that year’s World Technician Grand Prix. Competitors are not allowed to enter the World Grand Prix more than once, but Pakkala was invited to be an honorary judge at the 2018 Canadian competition in July so he could pass the Canadian trophy on to the next winner—Hart. 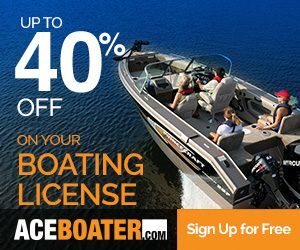 For the Canadian round, a written entry exam was sent to dealers in January. 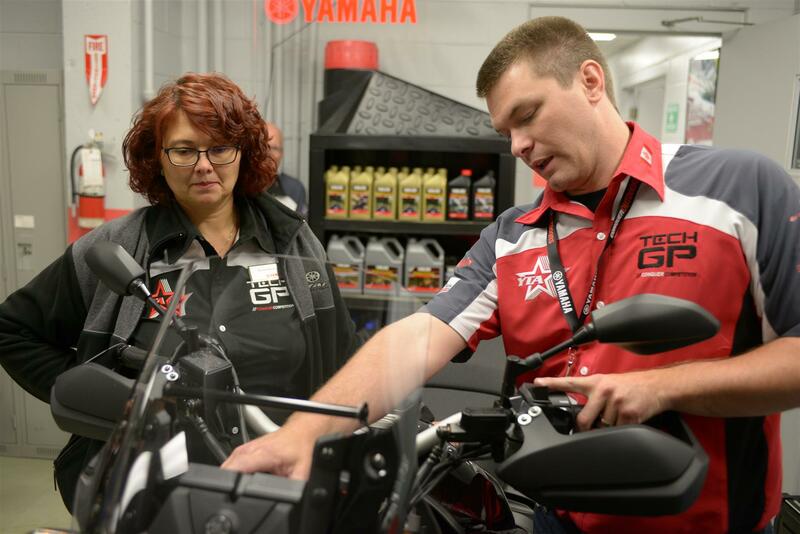 The top finishers from that process were asked to do a second test with the Yamaha Diagnostic Tool, and those entrants were whittled down to eight finalists who came to Toronto in July. 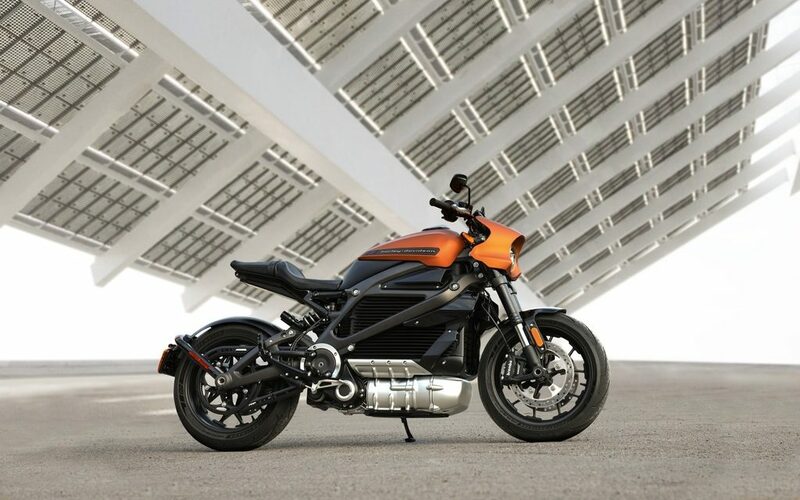 In another, the tech had to “deliver” a Venture TC to a new customer, illustrating its switches and other parts, talking up Yamaha’s lubrication products, and so on—essentially a product advisory and public relations job. In another, thorough familiarity with the smartphone app that adjusts power settings on a YZ450 was useful. 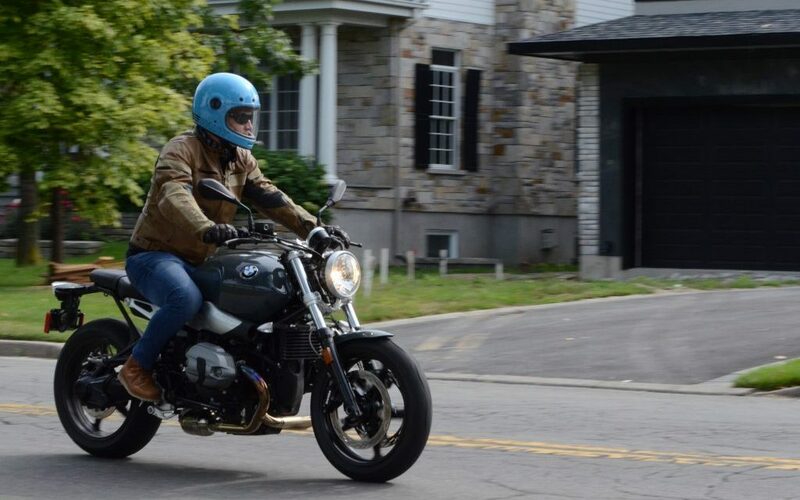 There were also labs involving a wiring board, a motorcycle that would not start, measurement of components, and use of computers for various technical functions. The winner, of course, was the tech with a final score closest to 900. For Hart, while the experience of three previous Grands Prix was helpful, the experience this year was tough. 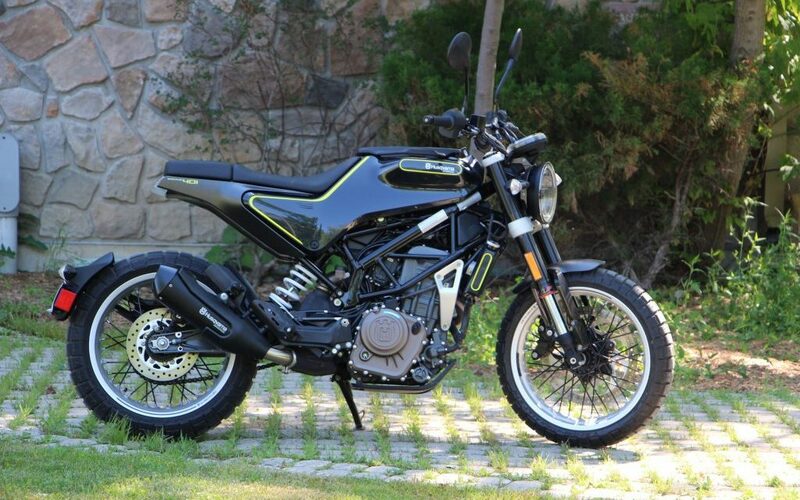 It was Yamaha’s diagnostic tool that was most challenging. 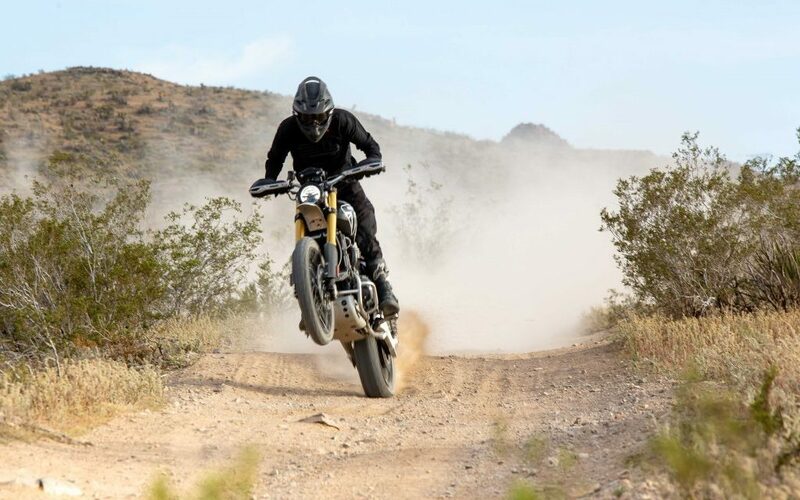 Hart said he loves Yamaha, “and I’ve been working with them a long time,” but he’s also a master technician with another major brand and is certified on others, so he spends much of his working day on motorcycles that don’t wear the Yamaha brand. That said, it’s perhaps even more to his credit that he won the 2018 Canadian Technician Grand Prix. Yamaha Canada also invites the dealer who employs the winning technician to go along, a thank-you gesture since that dealer had to surrender his or her best mechanic for a week or so while the Canadian event was going on—but in this case, Brett Hart might be able to enjoy himself even more than usual. He said there’s a good chance his girlfriend Jordan will go with him to Japan instead of his boss. No matter how the Grand Prix turns out, it sounds like a winning strategy. 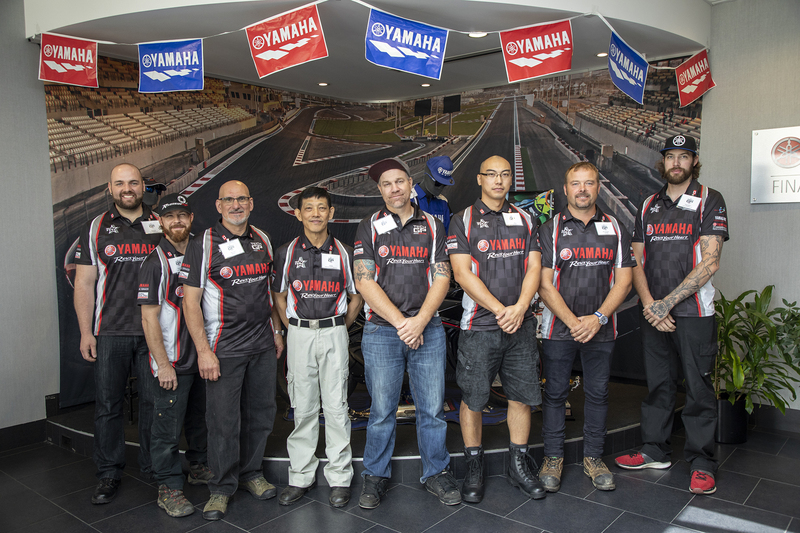 The boys in the brand: Yamaha techs Brett Hart (Blackfoot Motosports, Calgary), Rob Daye (Riverside Motorsoports, St. Albert), Alain Piuze (SM Sport, Quebec), Quang Le (Proline Motorsports & Marine, Saskatoon), Scott Szollos (Snow City Cycle & Marine, Toronto), Xin “Alex” Ji (GK Checkpoint, Port Moody), Mark Schroeder (Quad Expert, Hammond), and Patrick Gibson (Cycle Works Motorsports, Red Deer). Szollos finished second; Gibson finished third and won for Top Rookie; Piuze won the Customer Delivery award. 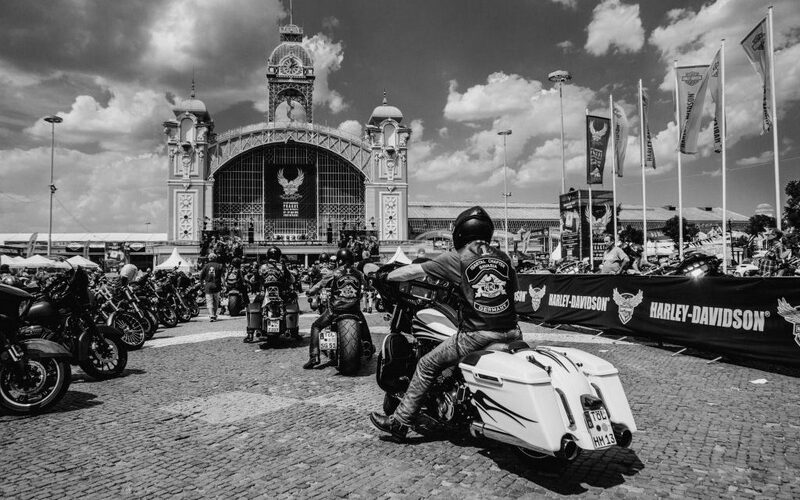 Hart demonstrated his knowledge of Yamaha motorcycles while watched carefully by a judge.